This page is based on the Special Edition (free to owners of the original version); differences are noted where applicable. 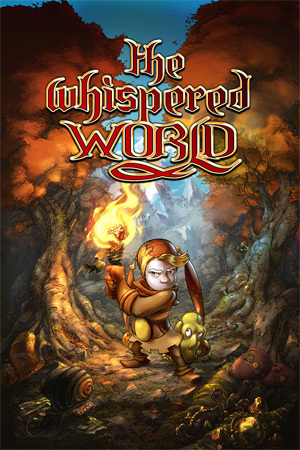 Owners of the original version received the Special Edition for free. Save data is not compatible between the two versions. True for Special Edition; false for original version. General options from Special Edition. Visionaire Configuration Tool from Special Edition. Original versions tool only features windowed or fullscreen option. Original is always 1024x768. Special Edition has resolution options but are upscaled and black bars on other than 4:3 resolutions. 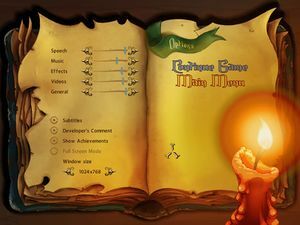 General options from original version. Speech, Music and Effects. Special edition also includes Video and General. Not available in Special Edition.